NEW! 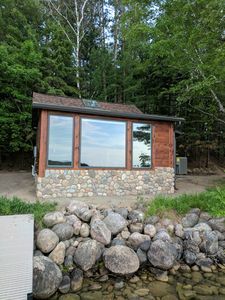 Lakefront House 5 Mins to Itasca State Park! 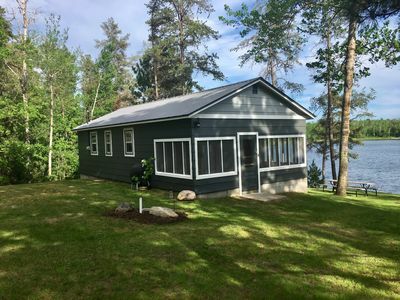 Reconnect with family, friends, and the great outdoors with a trip to this 3-bed, 3-bath vacation rental house in Park Rapids. 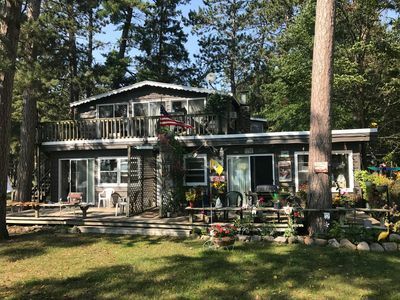 This home sleeps 8 travelers and sits alongside Little Mantrap Lake, where a private dock and beach await! 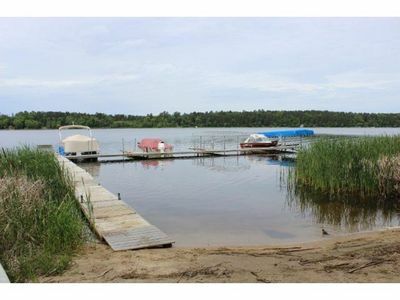 Plus a convenient boat launch nearby if you've brought your own watercraft. 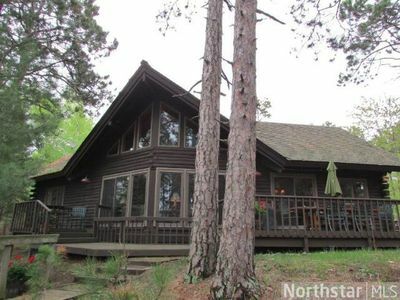 Sprinkled with even more gem-like lakes is Itasca State Park located 5 minutes north of this home. 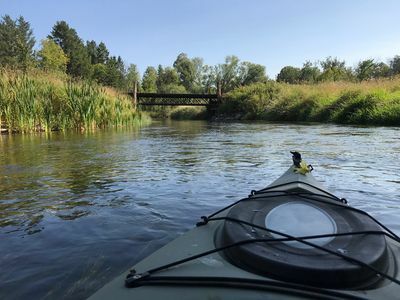 After boating, fishing, or golfing, head into downtown Park Rapids for shopping & dining! Whether you've spent your time on the water or well-groomed golf course, this 1,400-square-foot home is the ideal retreat after a day in the sun. Enjoy lake views from the spacious deck before heading inside to unwind. 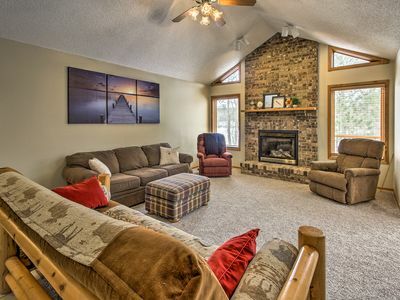 The floor-to-ceiling stone gas fireplace is sure to grab your attention upon seeing the living room. Relax on the couch, connect to the complimentary wireless internet, or read a new book for a quiet night in. The designated chef will be able to cook up family-favorite meals with ease in the fully equipped kitchen, complete with a breakfast bar. Serve meals at the round dining table surrounded by picture windows that frame the outdoor terrain. Settle in for the night in one of the 3 bedrooms in order to get a full 8-hour rest for the next outdoor adventure! Morning routines will be effortless using the provided 3 full bathrooms. 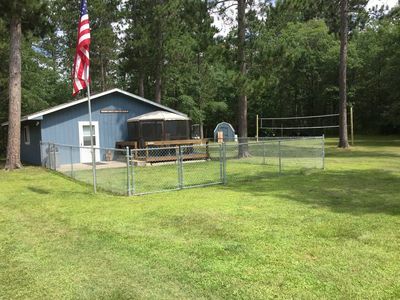 Abundant with wildlife, this Park Rapids area is a peaceful retreat away from the hustle and bustle of everyday life. 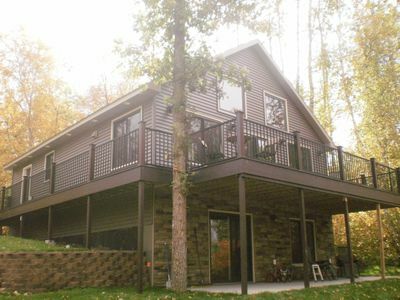 Keep an eye out for nesting loons, soaring bald eagles or busy beavers from the deck! 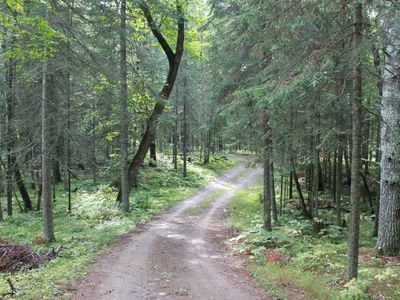 You'll have easy access to plenty of all-season trails perfect for ATVing or snowmobiling. 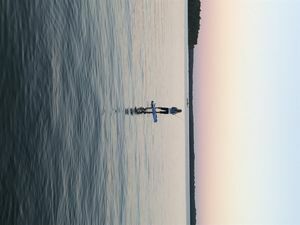 Try out a water-based sport when you paddleboard or kayak on Little Mantrap Lake - just steps from the property. 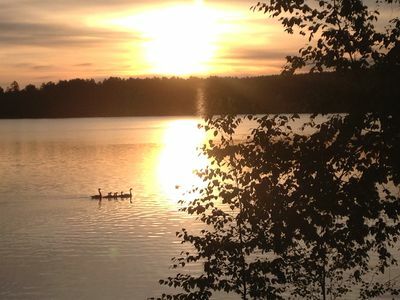 Explore a different lake scene when you drive to Itasca State Park 5 minutes away. 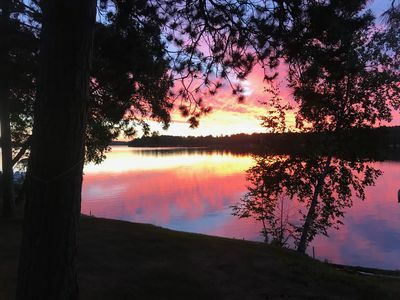 There's over 32,000 acres, home to 100 lakes and plenty of picture-perfect spots for fishing, hiking, and picnicking. 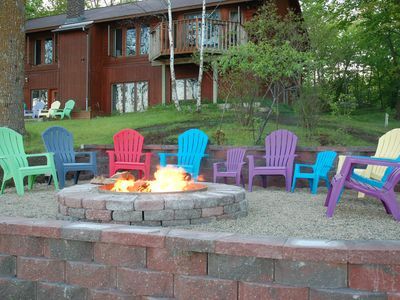 Downtown Park Rapids merchants invite you to linger and shop the boutique stores for a leisurely break. 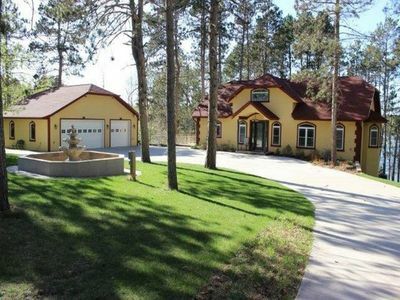 Drive 20 minutes south of this home to reach Old Main Street filled with must-try eateries. 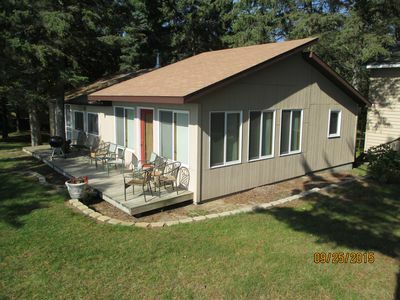 Lake cabin on quiet, private access Luebeck Lake near Itasca State Park . 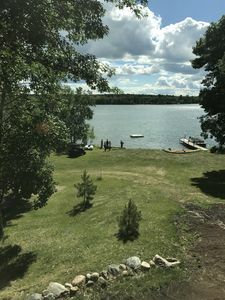 Long Lake - Where Memories Are Made! 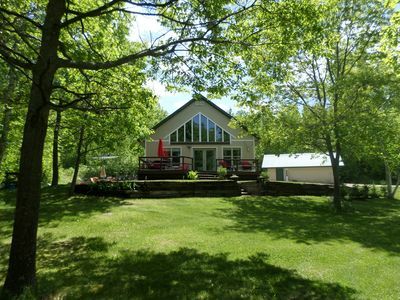 Beautiful Lakefront Cabin with breathtaking view of Long Lake. 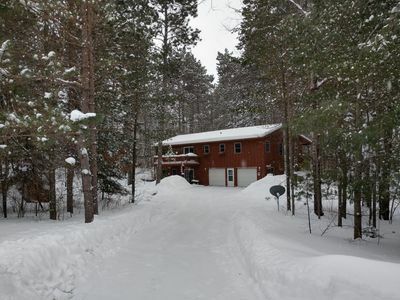 Beautiful, secluded 3 BR home on Mantrap Lake. Great hunting and fishing. Knot Heaven but Close to it. Recently remodeled. Enjoy the northern beauty. 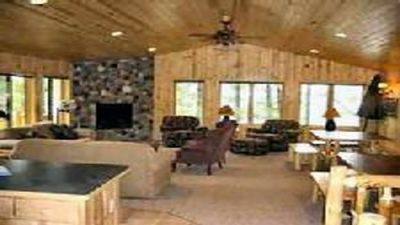 TimberView Cabin. Primitive Tiny Log Cabin. Camping with a roof over your head. 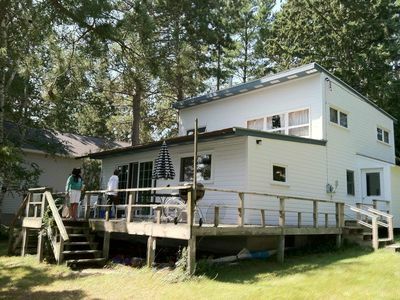 Lake Country Home in the Pines Beckons You To Come Relax and Enjoy! Beautiful house on the lake.